Kwara state government begins erection of stand pipes in continuation of Water Reticulation project – Royal Times of Nigeria. As part of the ongoing Ilorin water reticulation project, the Kwara State Government has begun the erection of stand pipes in 65 strategic locations across the metropolis to ameliorate the problem of water scarcity. The Permanent Secretary, Ministry of Water Resources; Dr Afolabi Ezekiel said the figure represents half of the 130 stand pipes approved for installation under this phase by Governor Abdulfatah Ahmed. He said residents of some areas where the stand pipes have been erected are already enjoying uninterrupted water supply and assured that residents of other areas will soon begin to get supply of potable water. Dr Afolabi said the erection of the stand pipes will be completed in the next two weeks, and that residents of the concerned areas can thereafter begin to connect water into their homes. The Permanent secretary further explained that the stand pipes were to serve as a palliative measure to cushion the adverse effect of water scarcity on residents pending the commencement of the tertiary reticulation component of the water project. 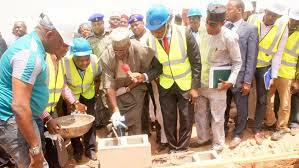 He stated that the administration of Governor Abdulfatah Ahmed is committed to the completion of the ongoing water project in the State, noting that the tertiary reticulation will soon commence as it had been captured in the State’s 2018 budget.